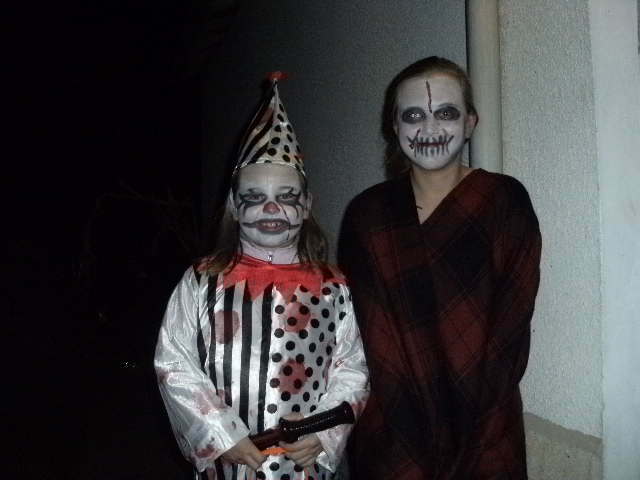 Its been a record year for this Halloween for me. When I first move here, a few years ago, I was told this holiday is not popular here, nor do children like it. I could not believe this, how can children not like a candy overdose? Most of the French say, this is a “new holiday” to them. They view it as a small event only practiced by a few children to get a few “bon-bons” (candy). How the French have missed the mark again. 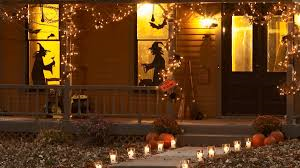 They are shocked when I tell them, Halloween is the 2nd biggest spending holiday in the USA, as Christmas is the first. 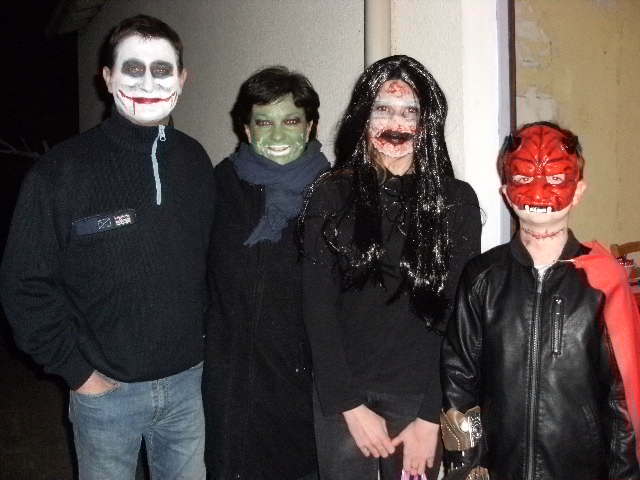 They are also surprised that many Americans (including myself), had Halloween parties for adults. 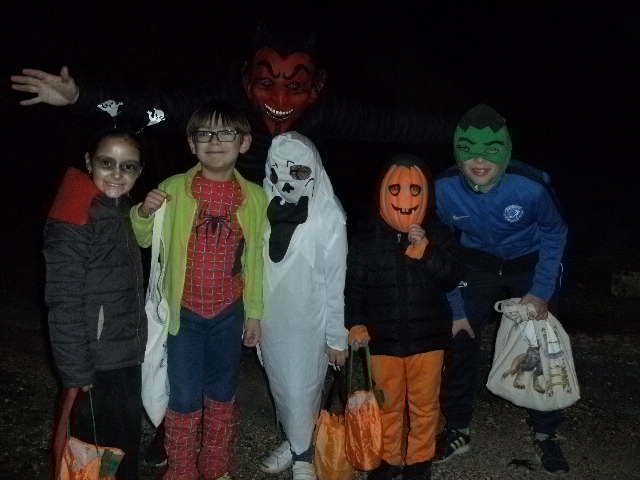 They do not see it as a fun holiday where adults can dress up, as any character they want. To engage is a non-harmful adventure. To have adult escapes is so normal to us now, we don’t even consider movies as “an escape from reality”, but the most popular Hollywood moves are that: Star Trek, Star Wars, Harry Potter, Batman…and the list goes on. To dress up in your favorite fantasy for one night … To be “Wonder Woman”, for one night, and force all men to put down the toilet seat lid !. ( and fight crime)… Or to be a Witch, and cast a spell on the “perfect–model” ‘neighbor, that her breasts sag to her belly.. ahh the list can go on forever! what fun ! 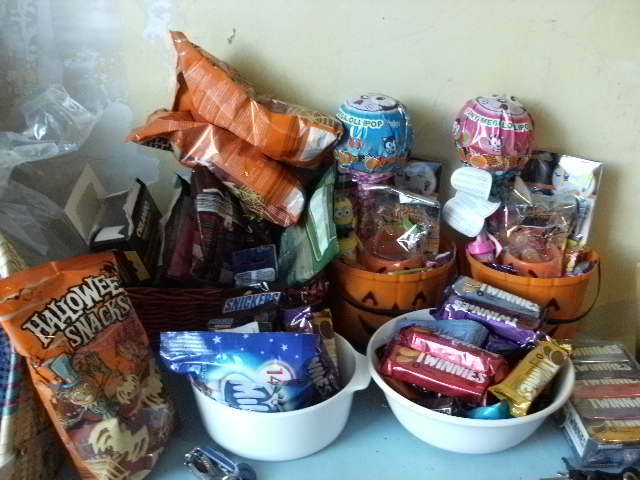 So as I prepared for my Halloween visiting children, with bags and bags of candy. I am slowly, encouraged by the stores selling various items, like the plastic orange pumpkin.. Spider webs, and children costumes. 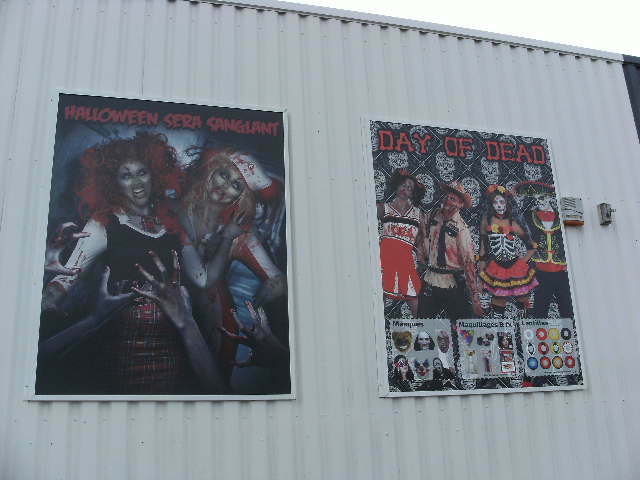 There is one store in town that has adult costumes of which, I went inside to view. 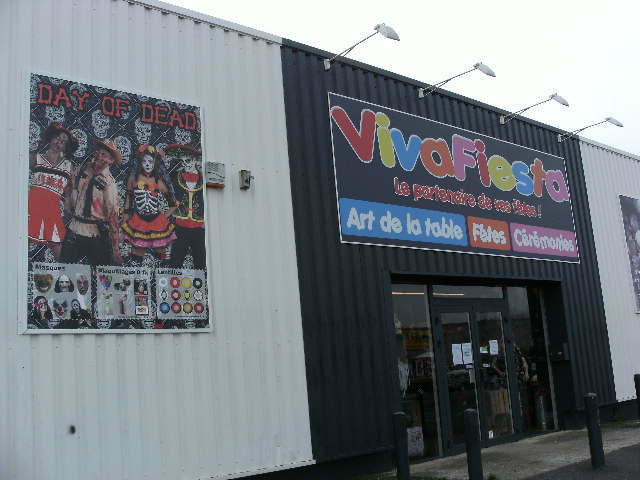 Most of the costumes were very “Hollywood characters “cowboys, mummy, witches, Dracula, etc ..BUT what I found shocking is how “violent some were” , do you see this store’s picture? Of blood drinking zombies? And the French call America violent?? 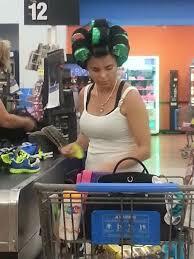 The French, have not seen the funny side to this Halloween yet .. like dressing as a crazy housewife, with curlers in the hair, wearing bunny slippers, with a Walmart shopping bag. One year, my Viking costume was so good, I scared one little girl away, she ran to the safety of her mother, who also was surprised by my participation in the holiday. And I am NOT stingy with the candy either!! Every child is given a minimum of one hard candy, one chocolate bar, and some kind of “traditional candy ‘. 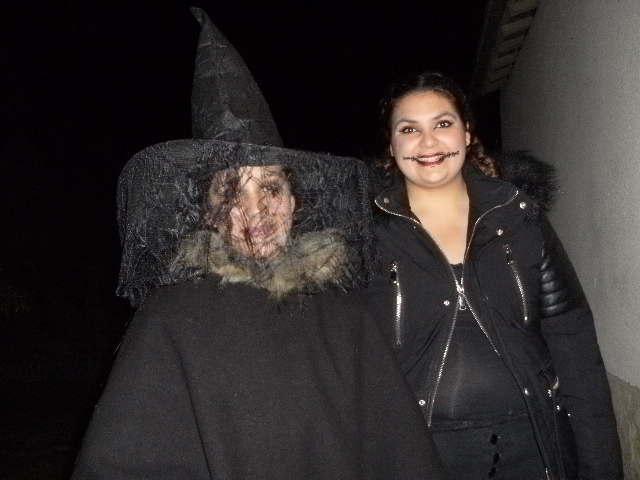 I also prepare the 2 gifts I give out every year; one boy & one girl for the best costume that comes to my door ..
What a happy night, I make for 2 children, when they walk away from my home, with over 25 pieces of candy, and usually some kind of small toy. One year I found a Champagne bottle full of bubble gum, to award the 2 winners. 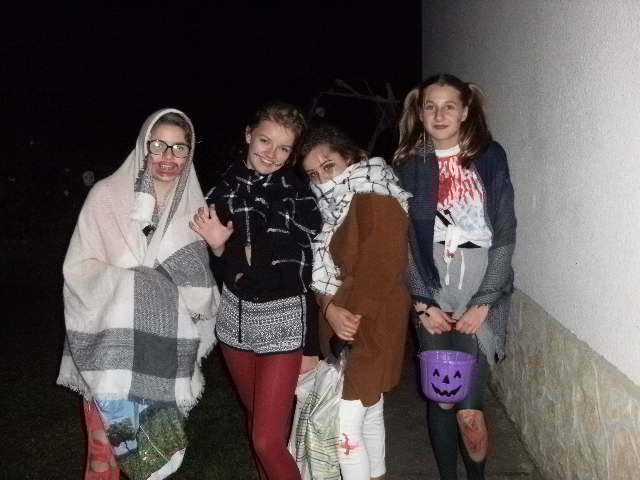 This is something, the French do not do .. give extra candy. Extra reward, for extra effort ..this is a pure Capitalist idea , which is complete opposite of the Socialist idea.. where everyone gains equally .. regardless of one person’s extra work. The power of “candy gossip” is alive and well with the French children. 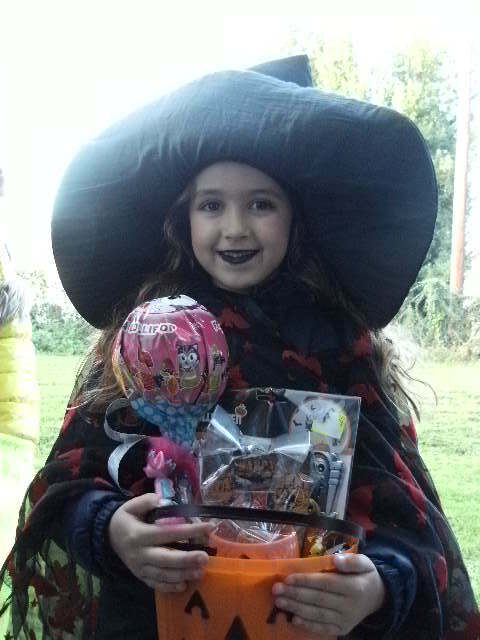 I gave my little witch the “award”, she was SO cute, her hat bigger than she was! ( I am a hat girl too). The boy winner was a red-faced character, but he was really proud of his plastic arm sword, that sprung out, with a push of a button. He was ready to fight. He walked away with his award. 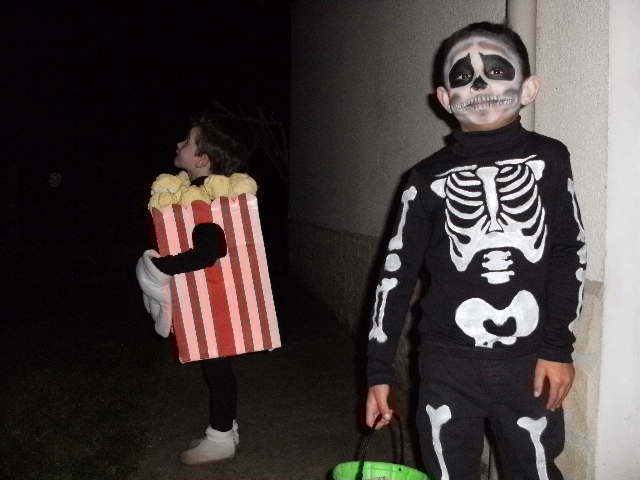 And I had one boy later, who was dressed up as a “popcorn box” ..too cute, so I gave him 3x the normal candy..but he was so shy, he did not want to pose for my picture. So, I am very happy with the Halloween turnout. 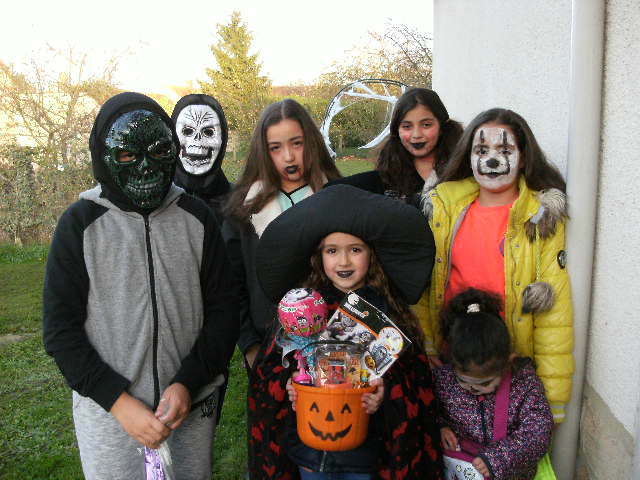 The “American in the area” is helping to spread our culture to France ..with my spider webs, and various ghosts & witches décor ..(yes, I know the holiday started in Ireland, but we added the candy essential element). I love being a Rebelle.. even 1,ooo miles away !! ← Oct. in Paris, and the Boots come out !